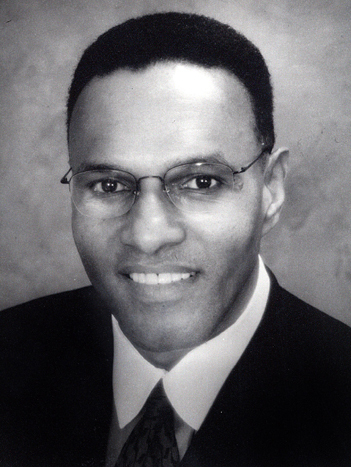 Freeman A. Hrabowski has served as president of the University of Maryland, Baltimore County (UMBC) since 1992. His research and publications focus on science and math education, with special emphasis on minority participation and performance. Born in Birmingham, Alabama, he was active in the Civil Rights Movement as a child. He graduated at nineteen from Hampton Institute with highest honors in mathematics. At the University of Illinois at Urbana-Champaign, he received his M.A. (mathematics) and Ph.D. (higher education administration/statistics) at age twenty-four. With philanthropist Robert Meyerhoff, he co-founded the Meyerhoff Scholars Program in 1988. The program is open to all high-achieving students committed to pursuing advanced degrees and research careers in science and engineering, and advancing underrepresented minorities in these fields. The program is recognized as a national model. Dr. Hrabowski is a consultant to the National Academies and chaired the committee that produced its 2011 report Expanding Underrepresented Minority Participation: America’s Science and Technology Talent at the Crossroads. He is also a consultant to the National Science Foundation, the National Institutes of Health, and universities and school systems nationally. In 2012 President Obama named Dr. Hrabowski as chair of the President’s Advisory Commission on Educational Excellence for African Americans. He serves on the boards of the Alfred P. Sloan Foundation, France-Merrick Foundation, Marguerite Casey Foundation (Chair), T. Rowe Price Group, The Urban Institute, McCormick & Company, and the Baltimore Equitable Society. He served previously on the boards of the Carnegie Foundation for the Advancement of Teaching and the Maryland Humanities Council (member and Chair). Named one of the 100 Most Influential People in the World by TIME (2012) and one of America’s Best Leaders by U.S. News & World Report (2008), he also received TIAA-CREF’s Theodore M. Hesburgh Award for Leadership Excellence (2011), the Carnegie Corporation’s Academic Leadership Award (2011), and the Heinz Award (2012) for contributions to improving the human condition. Other honors include election to the American Academy of Arts and Sciences and the American Philosophical Society; being named a Fellow of the American Association for the Advancement of Science; and receiving the McGraw Prize in Education and the U.S. Presidential Award for Excellence in Science, Mathematics, and Engineering Mentoring. Dr. Hrabowski has co-authored two books Beating the Odds and Overcoming the Odds (Oxford University Press), focusing on parenting and high-achieving African American males and females in science. His most recent book, Holding Fast to Dreams: Empowering Youth from the Civil Rights Crusade to STEM Achievement (Beacon Press, 2015), describes the events and experiences that played a central role in his development as an educator and leader.